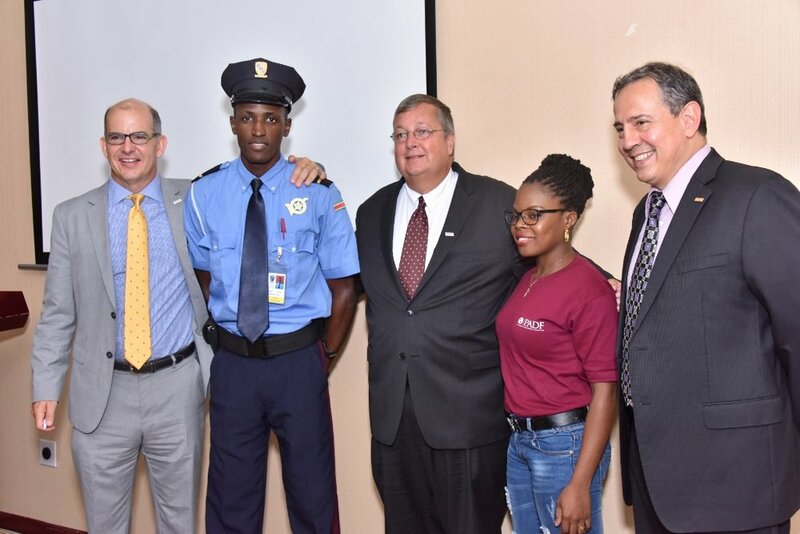 Paramaribo, Suriname (October 26, 2016) – The Pan American Development Foundation (PADF) announces the results of a three-year Youth Development and Juvenile Justice Program, also known as Kari Yu!, which brought together public and private partners to empower youth in Suriname. Funded by the United States Agency for International Development (USAID) and implemented by PADF, Kari Yu! has supported basic life skills, vocational training, pre-employment skills and job placement services to more than 2,500 at-risk youth. Since 2013, more than 1,300 youth have received full time employment, completed an internship, started a business or returned to school as a result of the program. The Kari Yu! program included a Youth to Youth (Y2Y) component that trained youth leaders to facilitate a basic life skills and pre-employment course to vulnerable youth in their own communities. After the five-week training program, career counselors mentor and coach participants for at least six months to enhance their ability to acquire and retain employment. “It’s been a pleasure to watch youth go through the program and take ownership of their own lives,” says Kari Yu! Program Director Carlo Arze. “These trainings have empowered so many young people to reach their goals, while offering tools and encouragement along the way. Now, the future is in their hands." In order to galvanize the private sector, PADF launched “Open the Door,” a multimedia awareness campaign that called on the government, local industries and vocational institutes to work together to create jobs for young people in Suriname. In addition to training youth, Kari Yu! has granted more than USD $800,000 to 26 projects implemented by NGOs in Suriname. Through these grants, Kari Yu! 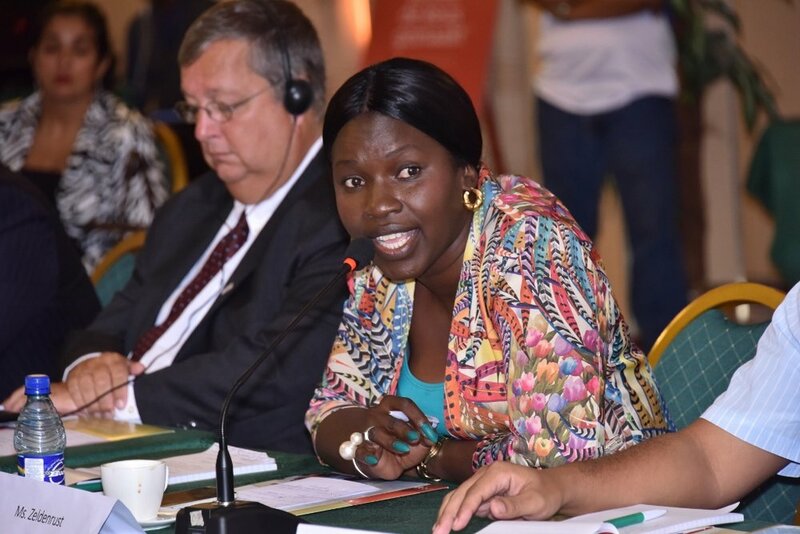 strengthened the capacity of local organizations and provided support and training in monitoring and evaluation, financial reporting, workforce development and effective mentoring for vulnerable youth. Distinguished guests from the government, private sector and civil society organizations attended the closing ceremony including Edwin R. Nolan, U.S. Ambassador to Suriname; Christopher Cushing, Mission Director for USAID Eastern and Southern Caribbean; and General Development Office Director Mr. T. Lawrence. PADF presented key program results and led a discussion on the future of youth development and youth employment initiatives in Suriname.